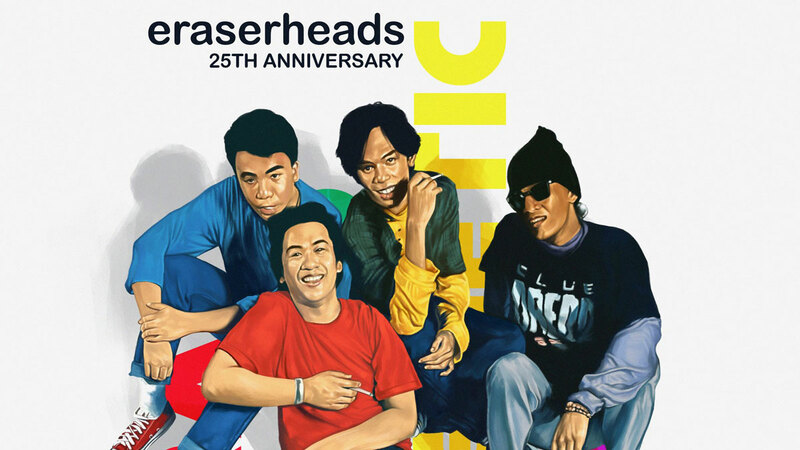 Pinoy music has come a long way since the '90s, but there's no denying the impact that the Eraserheads has had on the industry up until today. There are a lot of covers of their songs out there (there's even a playlist dedicated to them), but there's nothing quite like the original versions of "Ligaya," "Tindahan ni Aling Nena," "Toyang," "Pare Ko," and "Shirley" from the band's first studio album, Ultraelectromagneticpop!, which was released in 1993. It's been 25 years since then and the band is celebrating the anniversary of the album with a remastered edition from Bernie Grundman. Band members Ely Buendia and Buddy Zabala also posted a few cryptic clues on their respective Instagram accounts earlier today. The remastered version of Ultraelectromagneticpop! is set to be released on November 23. In case you didn't know, Grundman is one of the biggest names in mastering. He's worked with Earth, Wind & Fire, Steely Dan, Michael Jackson, and Prince. And now he's adding Eraserheads to his list when Ultraelectromagneticpop! gets its much-deserved re-release. The best part is, it'll be available for streaming on Spotify and other digital platforms, too! According to the Offshore Music Facebook page (Offshore is Buendia's new independent record label), the remastered version was done in partnership with Sony Music Philippines. It's only a few days before the album gets released, so you might want to brush up on their classic hits till then.